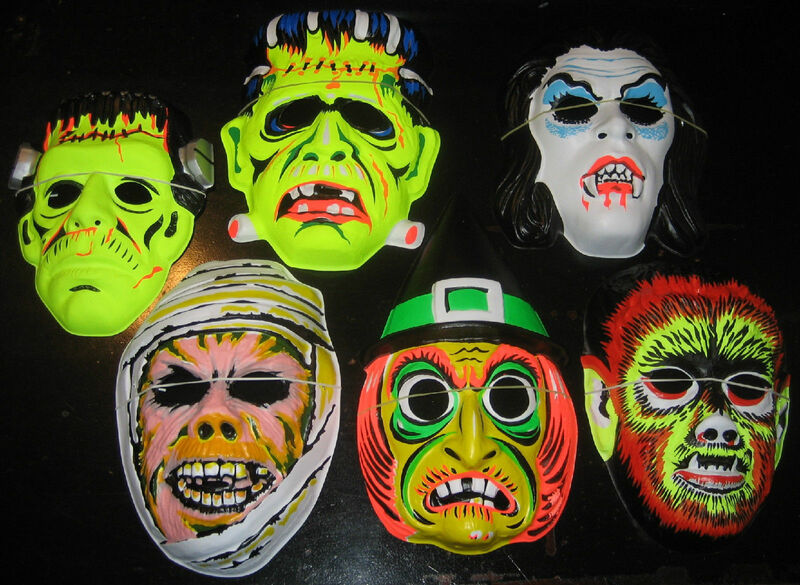 Ebay Find Of The Week: Lot Of Vintage ‘Ben Cooper’ Halloween Masks! They’re glorious! So, so glorious! Don’t you just love how the colors pop on these? You can try and duplicate the style, but there’s nothing better than having an original Ben Cooper mask. Or how about 6 of them? The eBay listing that you can find HERE was recently put up and already has some bids (of course). To make these even more tantalizing is the fact that they are in GREAT condition and come with the elastic bands still attached! Very rare. Expect the price to steadily move up on these, but to me the price will be worth it. This entry was posted in Feature and tagged ben cooper halloween masks, ben cooper masks, dirty horror, eBay ben cooper, eBay ben cooper masks, ebay find of the week, ebay halloween masks, halloween masks, old halloween masks by Dirty Horror. Bookmark the permalink.